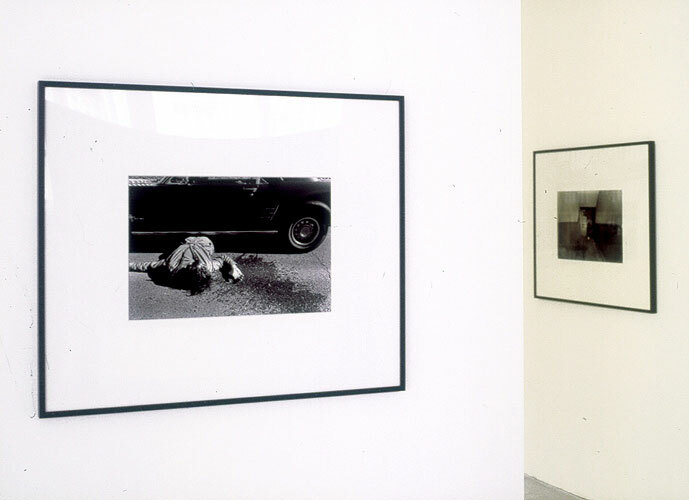 This is the first exhibition by Sam Samore in Europe that combines two series of photographs: The Suicidist from 1973 and The Suicidist (continued) from 2003-. 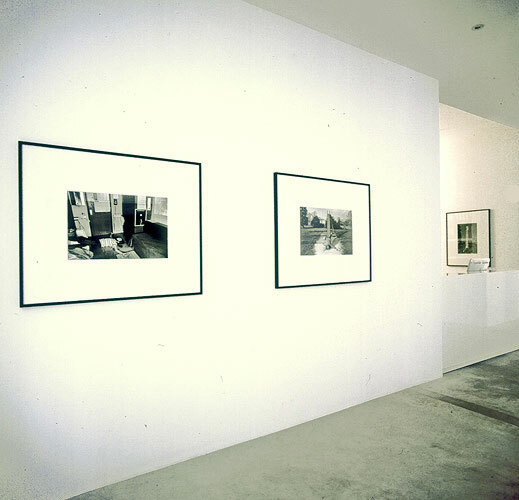 Currently both series are shown at the P.S.1 Contemporary Art Center in New York (curated by Bob Nickas; until 29 January). 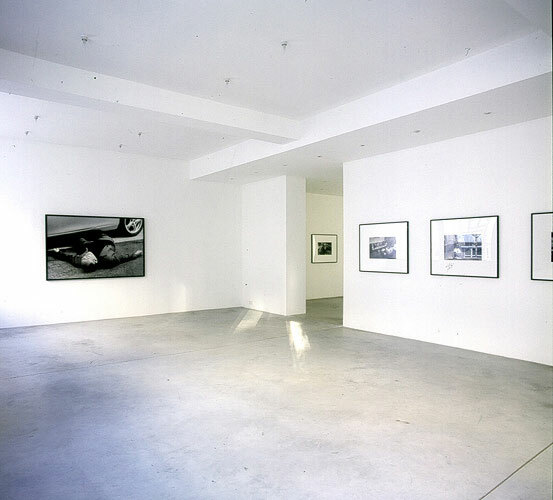 „In the revisited series, “The Suicidist (continued),” which includes pictures made between 2003 and 2006, Samore shifts from everyday interiors and settings, casual dress, and a midrange vantage point to more austere spaces, each tightly framed, and with the artist appearing impeccably dressed. The hippie/student of the 1973 pictures is now an international businessman, easily interchangeable with any other dark-suited, corporate figure. This transformation of the victim/protagonist is most heightened in pictures that echo a number of earlier compositions, most notably one in which a body is slumped over a pill-strewn desk. By bringing his camera closer to the scene, Samore draws the viewers into the picture—as if they have just discovered the body—and creates a dream-like atmosphere. 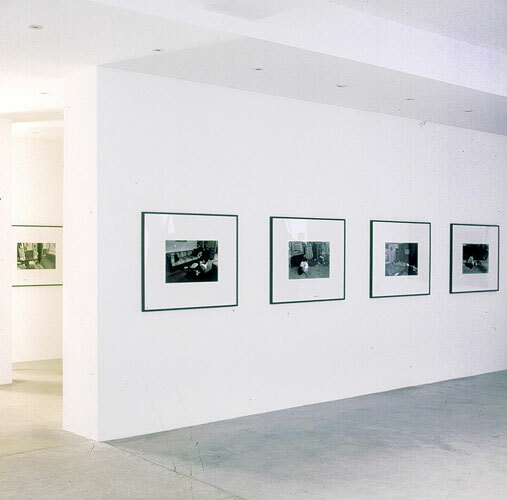 „The photographic work of Sam Samore is linked to post-conceptual art of the 1970’s. 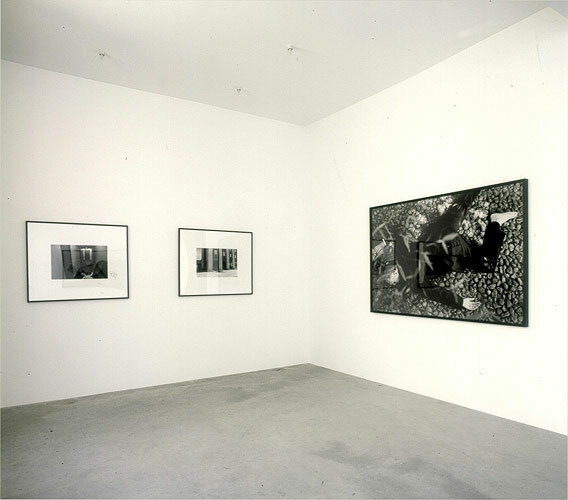 In his well-known filmic work of the 1990’s Allegories of Beauty (Incomplete), and the 1980’s Situations, the artist made iconic pictures about beauty, antagonistic rivalry, voyeurism, non-linear narration and the isolated character marooned in his/her own existential drama. Authorship, the perception of the individual in the public domain and a focus on physical composure are aspects of these enigmatic images. Early in his career Samore studied psychology, leading him to create a new body of work in 1973: The Suicidist, which set the tone for his later depictions of the anti-hero/heroine. An interest in literary devices, myths and fables, the film storyboard and exposition became established themes in his oeuvre. Text based installations, sound pieces and videos have further enhanced his investigations. In place of the exalted, romantic American heroines of Cindy Sherman’s film stills from the same period, Samore inhabits in part the existential angst and anarchist comedy of La Nouvelle Vague. Predating the pre and post-millennial culture of medication or “pill society” they are in line with a literary tradition connected to author/artist as creative martyr.